Olive Senior, author of 'The Two Grandmothers', was born in Trelawney, Jamaica. She attended Montego Bay High School, then went on to study journalism in Cardiff, Wales. She then studied at Carlton University in Ottowa. She currently lives in Canada, but visits Jamaica regularly. 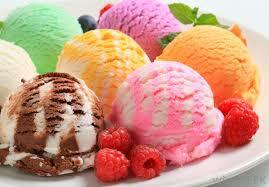 This short story is about a little boy's obsession with ice-cream. Benjy is a little boy who lives in rural Jamaica. His family is extremely poor and the most important, and festive, day for them is the Harvest Festival. It is an even more important event for Benjy because this is the only place that he can access the coveted ice cream. Benjy has never tasted ice-cream, but he relishes the very thought of it through the (www.bulbsoup.com) second hand description that is passed on to him by his sister. The story opens with the family's preparations to attend the festival and their scenic journey down the hill. Benjy's obsession with ice-cream becomes evident at the festival when he cannot enjoy himself due to his anxiety surrounding when the ice-cream will be forthcoming. This mirrors his father's obsession with scouting out the man whom he believes to be his wife's lover and Benjy's father. The obsessions collide when Benjy finally gets his ice cream and it falls out of his hand because his father sees a male talking to his wife and drags Benjy along to confront him. The story, therefore, ends in disappointment for Benjy. The story occurs in the small town of Springville in rural Jamaica. The family is from an even smaller town called One Eye, located in the mountains of Springville. He is a really intense child in terms of achieving his desires. She takes care of Benjy when his mother is busy. She introduces Benjy to the foggy concept of ice cream. She was very progressive and forward thinking. She was a very sociable and friendly person. Always eager to go or do something different. The short story reveals that he was wedded to the soil. He did not like to go out. He preferred a predictable lifestyle. Papa is irrationally jealous about his wife's activities, which points to his obsessive nature. It is revealed that he believes that she cheated on him when she spent three weeks away from him in Springville, where she was attending to her dying mother. He watches her like a hawk at the Harvest Festival, thereby getting very little enjoyment out of the fair. This obsessive jealousy also has serious implications for his relationship with his son Benjy. He does not believe that Benjy is his biological child, but a product of his wife's 'affair' in Springville. Benjy, therefore, is not treated well by his father, but viewed with suspicion and slight contempt. The narrator tells us that Benjy is in a state of constant suspense, as well as anxiety, in terms of (www.bulbsoup.com) what his father's response to him will be. Ironically, Benjy has the same obsessive nature as his father, which highlights to the reader that Benjy is really his father's son. Benjy, like his father, gets no enjoyment out of the Harvest Festival. This is because while his father obsesses over his mother, Benjy obsesses over the idea of ice-cream, for he had never seen or tasted it, and could concentrate on nothing else. For Benjy, 'ice-cream was the most marvelous thing he had ever heard of. And the strangest.' (Senior, 127). This is defined as the state of being extremely poor. The family that is at the forefront of this story can be defined as living in poverty because they could not afford the very basics in life. This is seen when the reader is made aware of the fact that Benjy's 'Sunday-go-to-church-pants' was made made from Benjy's father old jacket. We also see Elsa bathing Benjy with a 'strainer' covered in soap, implying that the family could not afford a proper wash rag because they had, essentially, made a loofah with a strainer and soap. Benjy was also 'washed off' with rain water that was collected in a drum. This implies that there was no indoor plumbing. Benjy also got 'new' clothes to wear to the Harvest Festival, but he did not notice that 'the black serge was stitched very badly with white thread which was all his mother had, and the three buttons she sewed down the front were all of different sizes and colours. His shirt too, with the body of one colour, the sleeves of a print which was once part of Mama's dress and the collar of yet another print.' (Senior, 127). This implies that the family had no disposable income to purchase clothes, or even the ability to buy cloth and thread to make their own clothes, they had to repurpose their existing older clothes. The family's very address speaks to their impoverished state, they lived up in the mountains of Springville in a community called One Eye. There isolation is seen in the fact that they had to walk a mile and a half down a mountain path before they reached the village of Springville, which itself, 'wasn't much' (Senior, 131). Ice cream, in this short story, is the symbol for anything that is intensely desired, anything that is anticipated to bring great pleasure. Senior, Olive. 'The Boy Who Loved Ice Cream' in A World of Prose. England, Heinemann, 2005.